Cornbread comes in two different forms. Savory or sweet. 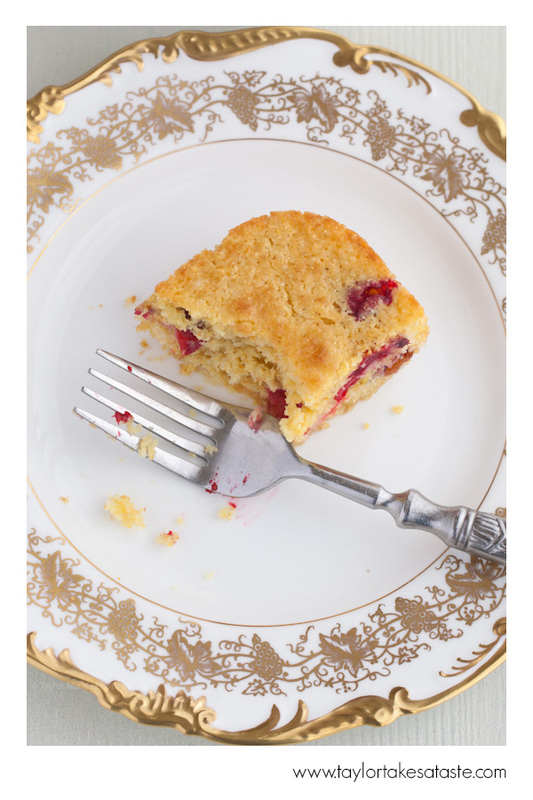 This cornbread has a slightly sweeter flavor that complements the tart flavor of fresh cranberries. 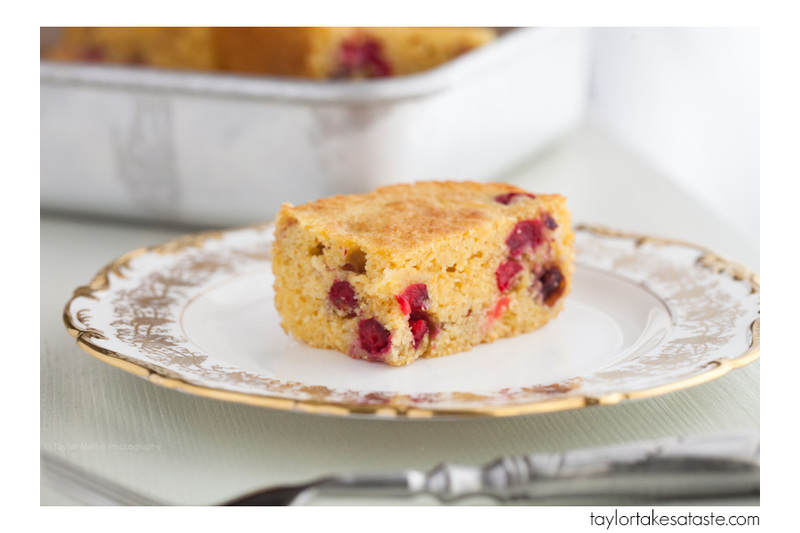 The yellow cornbread and vibrant red cranberries create a dish that is just as beautiful as it is delicious. Preheat oven to 400°F. Butter and flour a round cake pan. Set aside. In large bowl combine cornmeal, flour, sugar, baking powder, baking soda and salt. Stir. Add fresh cranberries. Stir and set aside. In a medium bowl combine buttermilk, orange juice, eggs and orange zest. Stir until well blended. Melt butter and stir into buttermilk mixture. Empty butter and buttermilk mixture into the large bowl of dry ingredients. Quickly stir until just blended and turn batter out into prepared cake pan. Bake for 25 minutes or until cake tester comes out clean. Serve warm or room temperature. What a beautiful combination of flavors. I recently made a cranberry orange bundt cake and it was fabulous. This looks wonderful!